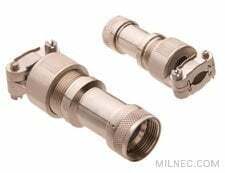 Cable sealing glands seal both entry points on these M83723 backshells, providing environmental protection from harsh environments. A cable clamp on the back of the shell provides necessary strain relief. Upgrade to EMI/RFI environmental backshells for shielded applications.